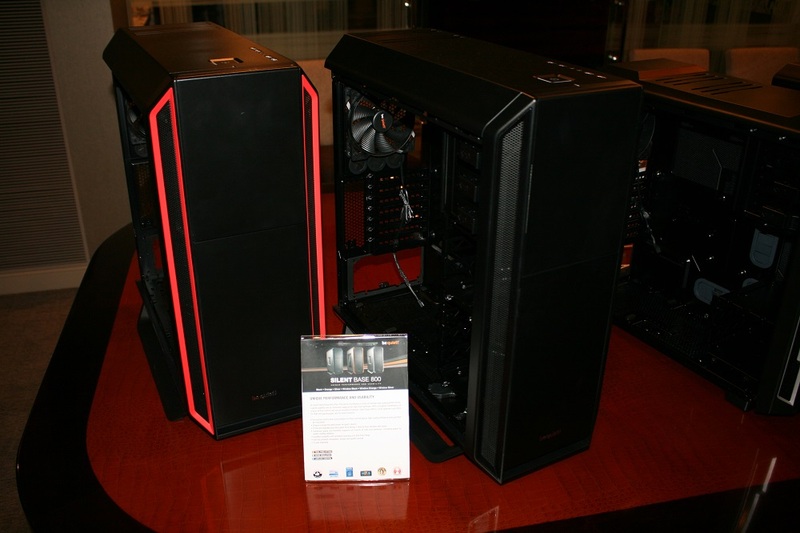 In the first of many updates from the 2016 Consumer Electronics Show in Las Vegas, we visited with our friends be quiet!. 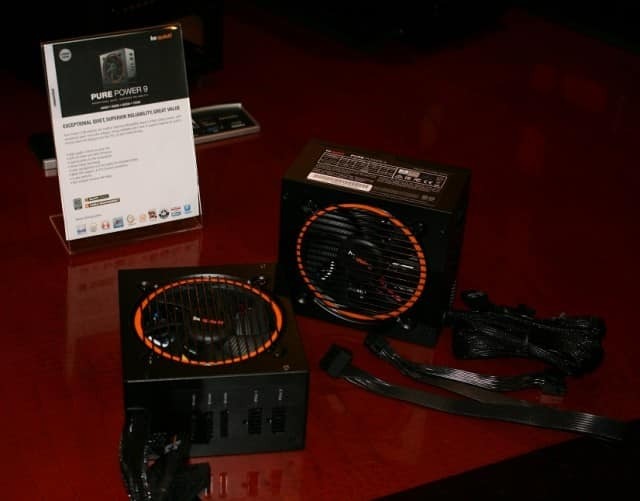 Although there were not many new products on display, we did have a chance to check out their newest power supply line called Pure Power 9. This new family of 80-PLUS Silver power supplies will be available in both semi-modular and fixed-cable designs. Four capacities will be available from 400 w to 700 w. Other improvements include more PCIe connectors (4) on lower wattage models, active clamping technology, flat cables, and longer EPS and 24-pin cables. The Pure Power 9 also features a Silent Wings 120mm fan and a three year warranty. Semi-modular units will be released first, starting in March 2016, while the fixed-cable units will come in June. be quiet! also had their current cases on display with a little twist, the Silent Base 800 will now be offered with colored trim and cable pass-throughs. Even more exciting, be quiet! expects to release a new case at Computex (not pictured) that will be packed with new features, including a glass door and all the silent goodness that we have come to know and love. Pricing is expected to be around $250. On the cooling side, be quiet! only has one new heatsink on the way, the Pure Rock 92. Geared towards smaller builds, the Pure Rock 92 features a 92mm fan and a lower price tag than the original Pure Rock. Also in the works, be quiet! 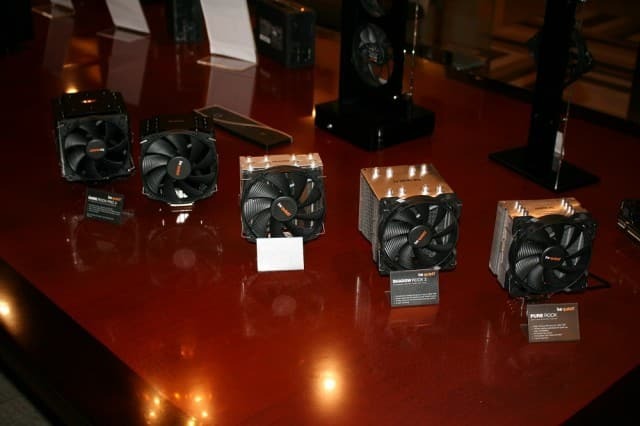 will release new Silent Wings fans in a few months and plans to dabble in AIO water cooling. be quiet! has grown rapidly over the past few years with their reputation of building high quality hardware preceding them and driving that market movement. We are excited to see what they have in store for 2016. Stay tuned for more updates from CES.